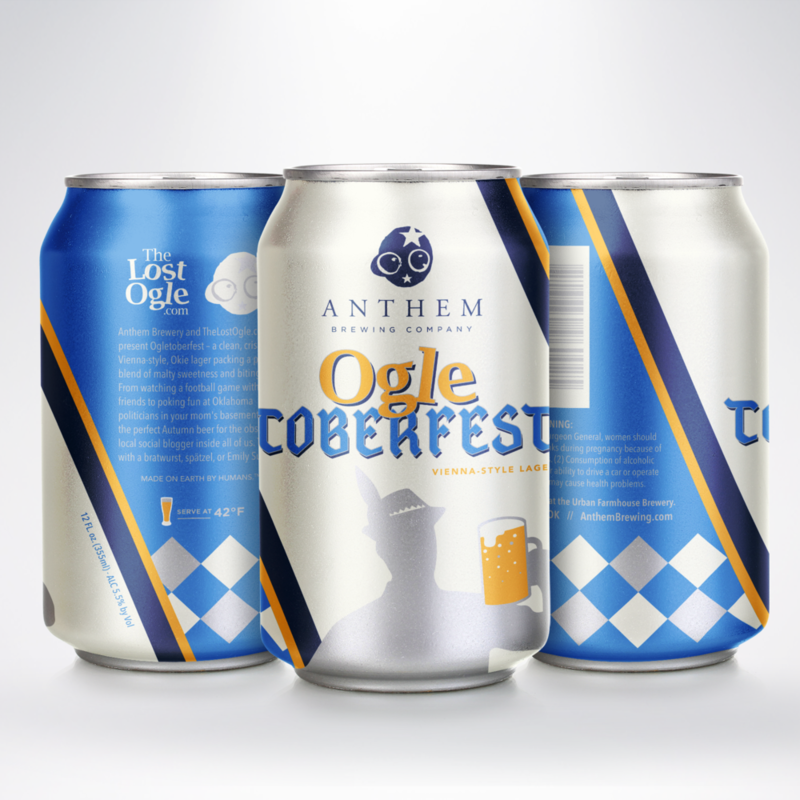 Anthem is a craft brewery in Oklahoma City. 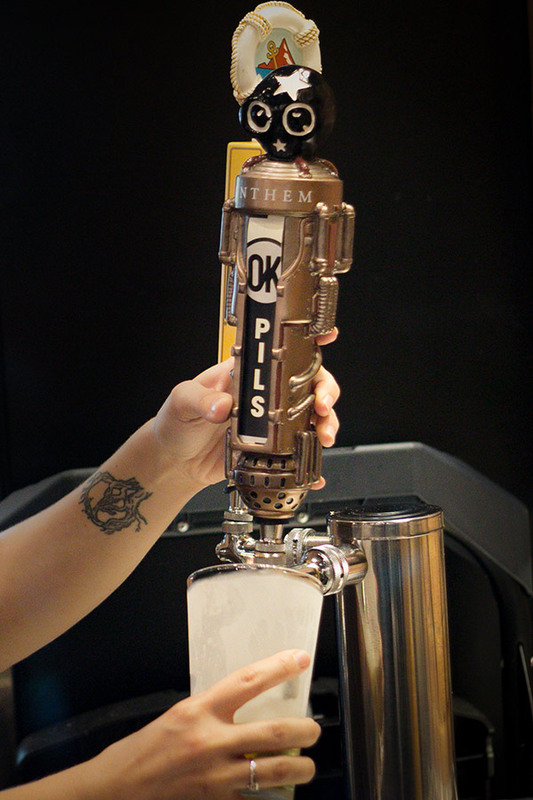 They make incredibly tasty beers at all ends of the spectrum. 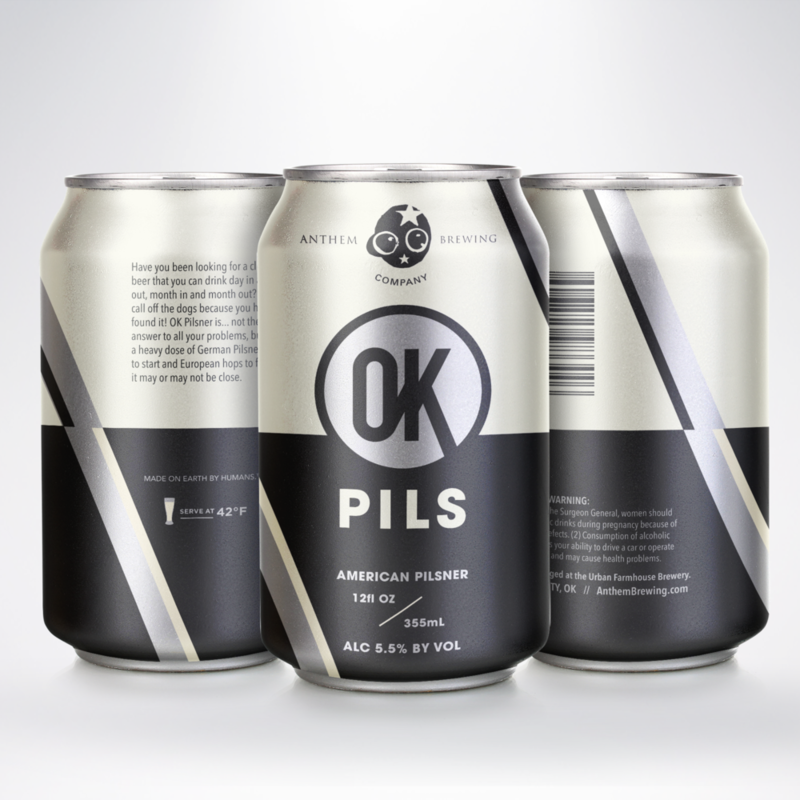 We have worked with Anthem on a variety of packaging systems, from limited-edition and small-batch brews, to classics like the OK Pils. For their small batch bottles, we wanted to do something a little different—a little more elevated. We ended up designing a custom die-cut label system that pushes their branding to the next level. Their logo (the imp) breaks out of the rectangular profile of the label, regardless of the art on the bottle. 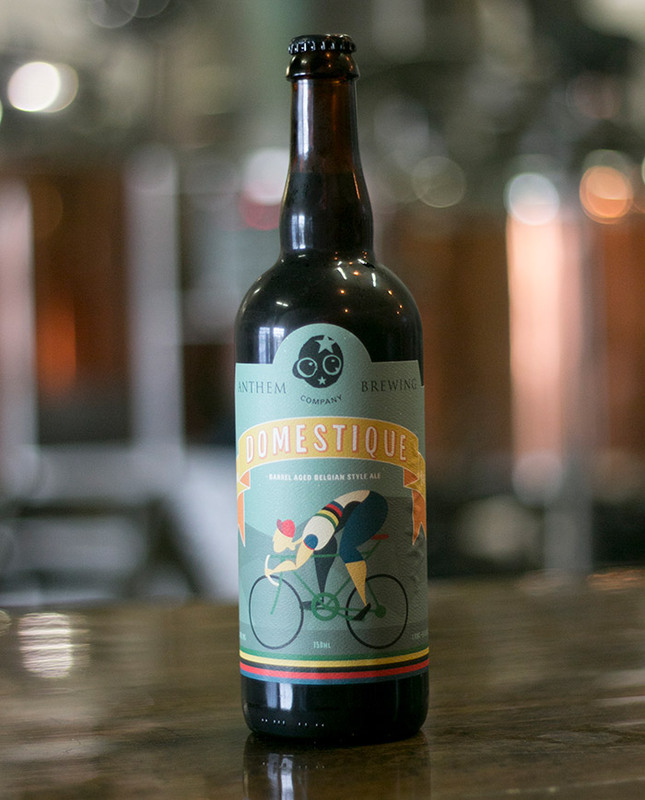 The two edges of the label taper to nearly—but not entirely—meet in the back of the bottle. This created an exciting tension that makes the bottle exciting on the shelf and provides a consistency between their cans, which vary greatly between typographic solutions and fun illustrations.